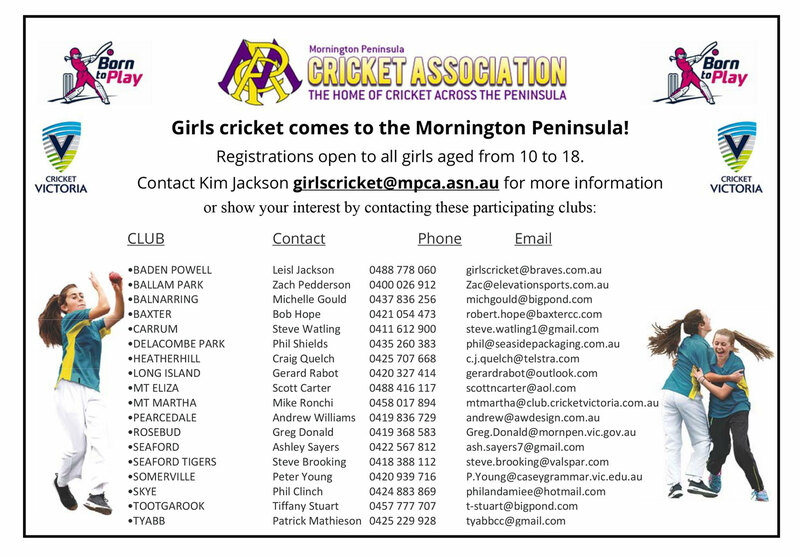 It with much excitement that we announce the inaugural Mornington Peninsula Cricket Association Girls’ Cricket Competition for the 2016/17 season. 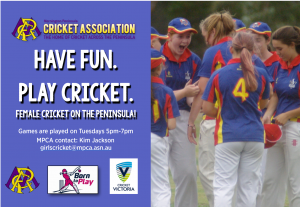 With a starting line up of 17 clubs, the 2016/17 season will be one of excitement, newness and ‘history’ for the MPCA! We have had 17 clubs commit to entering a team for the season but if any other club feels, at any stage, that they can field a side also, just let us know and we would be more than happy to include you! 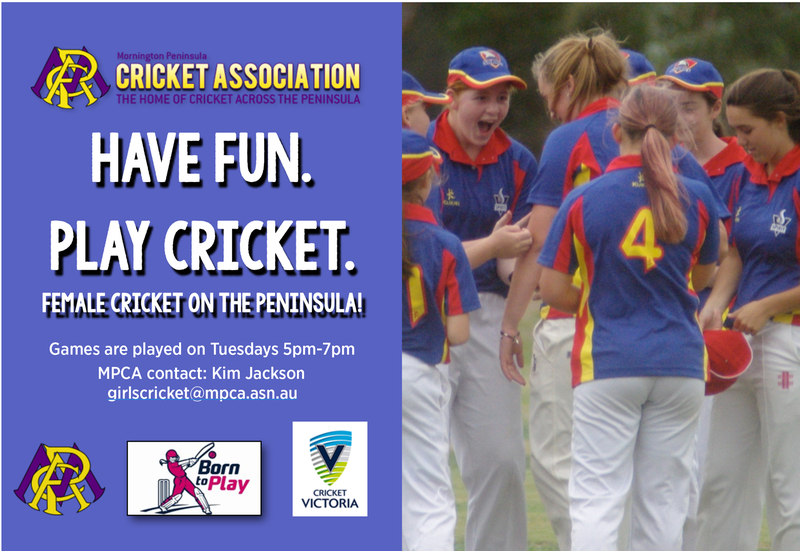 Our Girls Cricket Working Party has been working hard behind the scenes to make this season possible and we are finally ready to launch the competition! A special thanks to anyone who has worked hard to turn this idea into a reality- we recognise that many conversations and ardent advocating has to happen for things to become reality! Age Groups- 10-13 years and 14-18 years OR a two tier ability-based system OR a two tier ability-based system in BOTH age groups-depending on numbers. This decision will be made once we have a clear indication of numbers from all participating clubs! PLEASE NOTE: The age groups, rules and game format are all very flexible for the first season. We will provide more information to clubs as the season gets closer. 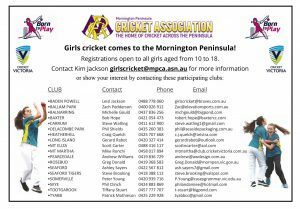 We want ALL girls to have the opportunity to play so, if you have any questions, please contact Kim Jackson and a solution can be discussed. All the very best and we look forward to sharing more information in the coming weeks!